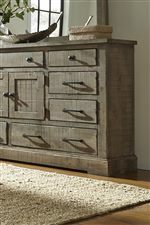 A weathered gray over rustic salvaged pine solid wood makes this six-drawer chest a bedroom storage piece with ample character and rustic style. The rough hewn wood and variation in the finish through complements the casual appeal of simple bracket feet and graphite finish drawer hardware. This drawer chest provides essential clothing storage with a look you will love. 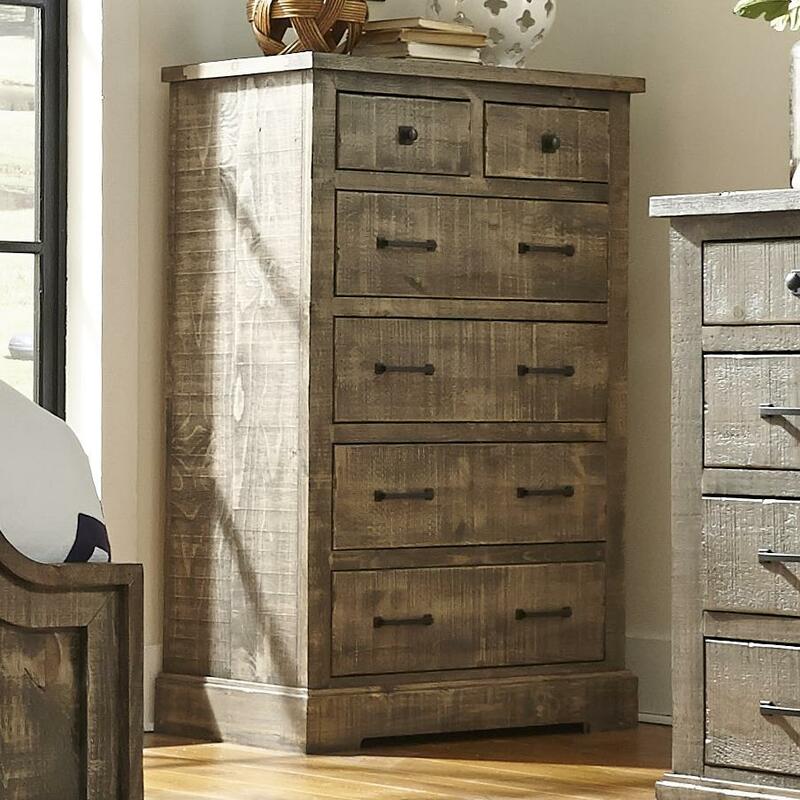 The Meadow Rustic Pine Drawer Chest with 6 Drawers by Progressive Furniture at Sam Levitz Furniture in the Tucson, Oro Valley, Marana, Vail, and Green Valley, AZ area. Product availability may vary. Contact us for the most current availability on this product. 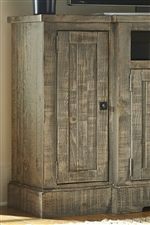 Create a relaxed environment with the rustic look of the Meadow collection. 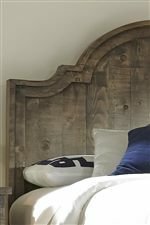 Constructed of rough hewn salvaged pine in a weathered gray finish, the variations apparent in the wood's finish provide modern farmhouse style to your decor. The Meadow collection is a great option if you are looking for Casual furniture in the Tucson, Oro Valley, Marana, Vail, and Green Valley, AZ area. Browse other items in the Meadow collection from Sam Levitz Furniture in the Tucson, Oro Valley, Marana, Vail, and Green Valley, AZ area.